HLDB24 LED Head Lamp Premium Headband. ULTRA LIGHTWEIGHT! 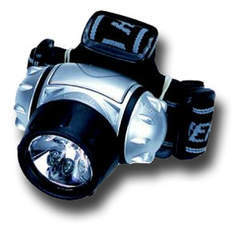 This ultra efficient,high intensity LED head lamp will provide you with sufficient light no matter what the task. This makes a handy item for anyone that needs to have the use of both their hands for rock climbing or biking. This compact,light weight design makes it something that you can easily store in any compartment or attach to the front of your bicycle.